HONG KONG -- Chinese automaker Great Wall Motors said there are "big uncertainties" whether it will continue to study a takeover of Fiat Chrysler Automobiles' Jeep division. Automotive News first reported on Monday that Great Wall President Wang Fengying planned to contact FCA to discuss acquiring the Jeep brand. Two people familiar with the matter told Reuters on Monday that Great Wall had asked for a meeting with FCA to make an offer for all or part of the group. Great Wall's efforts have "not generated concrete progress as of now" and it has not established contacts with FCA's board, the Baoding-based automaker said in a filing to the Shanghai stock exchange on Tuesday. "We have not had any negotiation, nor signed any agreements with FCA," the filing added. 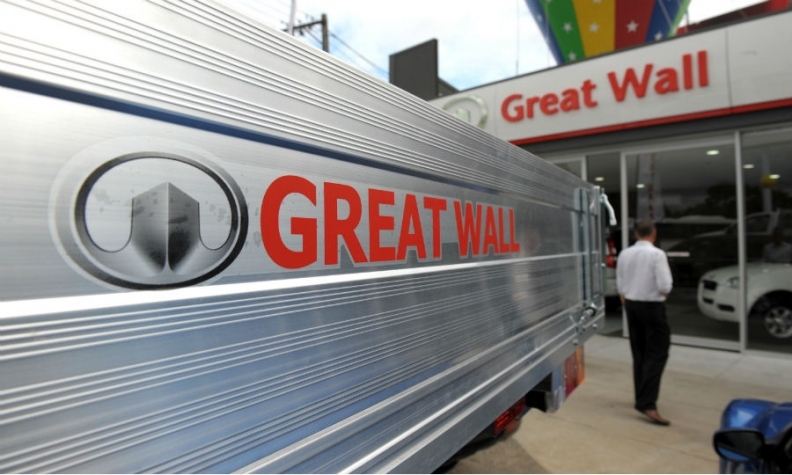 Trading in Great Wall Motor's Shanghai-listed shares will resume on Wednesday, after it was suspended on the company's request. Fiat Chrysler CEO Sergio Marchionne stoked deal speculation last month when he said the automaker will evaluate whether to spin off some businesses. The Jeep marque anchors the company's mass-market car operations and has been a key focus of expansion. Reflecting the brand's importance, Morgan Stanley estimates Jeep is worth 20.6 billion euros ($24.2 billion), about 4 billion euros more than the entire group's market value. It's unlikely Fiat would sell Jeep on its own, which would mean also taking on other brands like Dodge, Ram and Chrysler. That would be a risk. Great Wall could also have found it tough to obtain Chinese regulatory approval due to recent restrictions on capital outflow, Deutsche Bank analysts Vincent Ha and Fei Sun wrote in a report on Tuesday. An acquisition would also require U.S. approval, which could be complicated under the Trump administration, they said. "We cannot ignore the potential policy hurdles involved in a potential cross-border M&A," Ha and Sun said in the note.